The day we have all been waiting for is here! 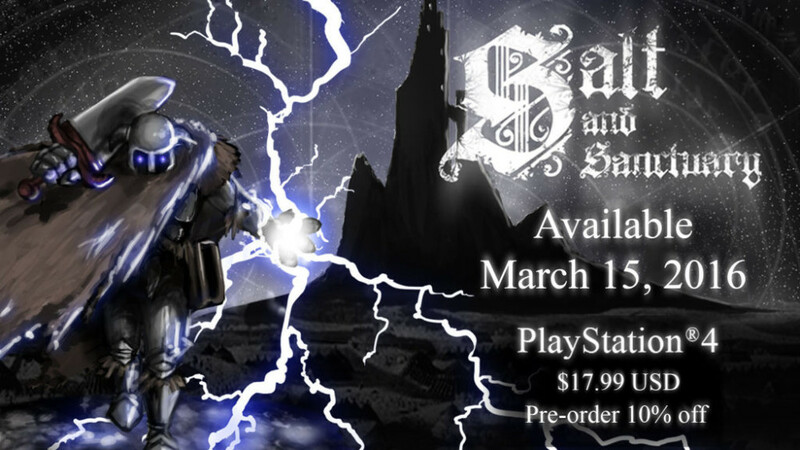 Salt and Sanctuary will be available on PlayStation®4 on March 15th, 2016 and you can pre-order right now for 10% off. That’s in one week! Check out the PlayStation’s Launch Party announcement with Salt and Sanctuary at the top of the schedule. For all those wondering, Salt and Sanctuary is still in development for PS Vita, and will be cross-buy with PS4 when it’s released. 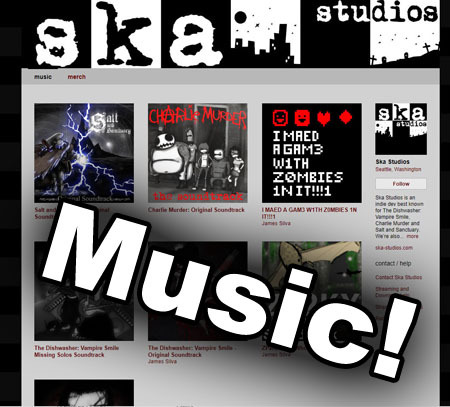 Check out the most commonly asked questions over at our FAQ! We’ve also partnered up with Fextralife and will be checking the Salt and Sanctuary forums. Head there to talk about the game and ask questions. We are waiting for the Vita version! PLEASE RELEASE IT ALREADY ON PS VITA!!! PLEASE!!! Unfortunately, the game was deleted from the German PSN. Well, thats a shame. PSN Store -> Empfohlen, dann 4. Fenster. Are you serious to give the german translation to google translate? The translation is so weird, it is not even close to the origin. Most irritating is, that there is no option to change language in the menue. Now I have to change the console language in the console settings every time – that realy a bad joke. Please patch this. It is ok, if you dont have financial recurces for tranlation, but giving it to a stupid program? i heard it will be a 3 Month exclusivity, by then Dark Souls 3 will be out for a while already, so i think sales will be bad for this game on PC/Steam, but i hope it will be a success. me myself and i will buy it, and have fun with both games. Really want to play this game but I really want to play it on Vita. Sadly going to give it a miss until the vita edition is available. Been burned with Axiom Verge before. . .
Will this be out on the Australian/European/PAL PlayStation Stores on March 15 as well? any idea of when the ps vita version is going to be available? And I’m really glad to know that a Vita version is still in development. Preorders?! You mean I can give you my money now?! Take it! Take it all! I just wanna know… when SaS is coming to pc? HOLY SH*T, THAT’S NEXT WEEK. CANNOT BELIEVE IT! THE HYPE IS TOO STRONG. MUST. STOP. TYPING. IN. CAPS… there, I think I made it.